Heading to Portugal on a family holiday often conjures up images of sitting on a beach in the Algarve, with a dubious mix of sand and suncream covering the children. This has its own charm, but there is a more sophisticated, sassier, even sexier way to travel in Portugal that seamlessly combines beaches and city breaks. Flying to Lisbon from Edinburgh with a four-year-old, the luxury began as we were transferred (complete with booster seat) in a slick, black vehicle to the Martinhal Cascais hotel. For couples with children, it often feels it’s time to leave chic boutique hotels behind but this impeccable luxury establishment on the opulent Portuguese Riviera is aimed at families who wish to combine child’s play with adult finesse. 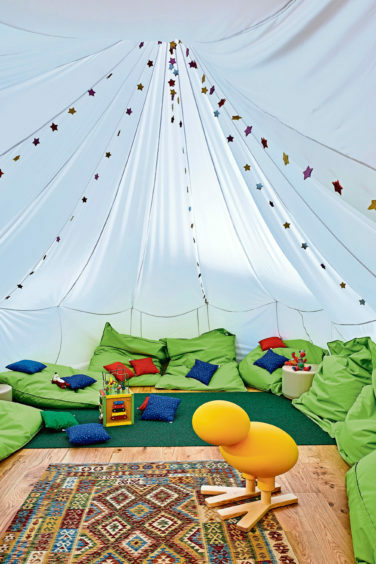 Each immaculately styled room or villa comes complete with the essential kiddie paraphernalia that makes life that little bit easier. In our case, the lavish bathroom contained a potty and stool for little ones, as well as a mini bathrobe and flip-flops for the discerning young traveller. If the tots are babes in arms, then a baby concierge will provide bottle sterilisers, bottle warmers, high chairs and all manner of accoutrements as standard. The combination of high style and child awareness simply begs the question, why don’t more hotels do this? Admittedly getting children to leave the establishment can be the biggest challenge. The lure of the facilities was immense – we’re talking a vast playground, indoor and outdoor pools, a kids’ club, and a spa where wee ones are welcome to join mum and dad in the Jacuzzi, steam room and sauna. But the nearby sights are equally staggering. 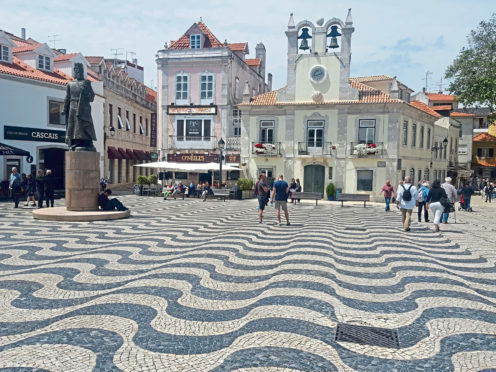 The region of Cascais and Sintra was essentially a playground for not only Portuguese royalty and aristocracy, but international kings and queens. Portugal’s neutrality in the Second World War saw Cascais become home to many exiled royal families of Europe. The Grande Real Villa Itália Hotel was once the home of Italy’s last monarch, King Umberto II. Nearby, the town of Estoril has its own glamour due to links with James Bond. Ian Fleming’s role in Naval Intelligence took him to Estoril during the Second World War, and it’s said the town’s glamorous casino, supposedly overrun by German and Allied spies during that era, inspired Casino Royale. Again, the history, promenades and style of these coastal resorts intrigues adults, and the sand, ice cream and tales of espionage entertain kids. The ultimate regal indulgence on this “Coast of Kings” takes visitors inland to the hilltop town of Sintra. The colourful town is a Unesco World Heritage Site, and wandering through its winding lanes, stopping for pastries at local bakeries such as Piriquita, and necking a delicate shot of Ginja (cherry liqueur) in a dark chocolate cup may sound enticing, but the town is also peppered with castles – the dark, medieval Castle of the Moors, the dazzling white National Palace, and the ultimate “Build Your Own Castle Fantasy”, Pena Palace. 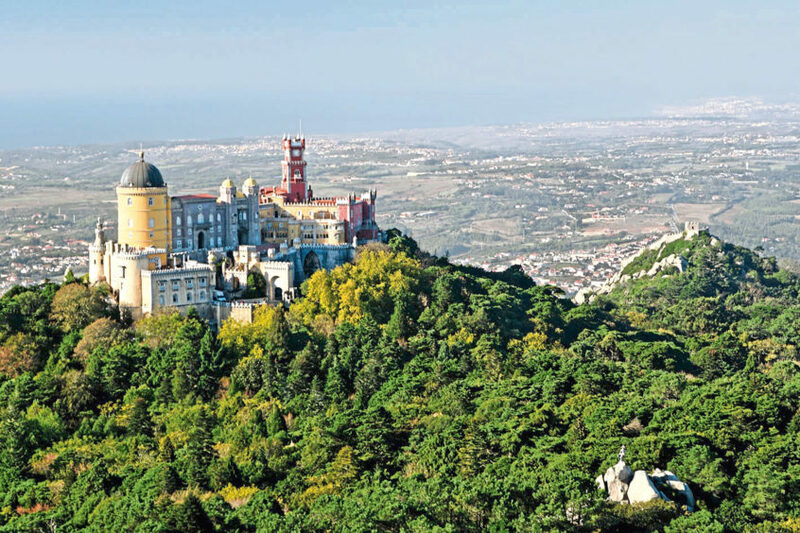 Pena Palace works as a cultural stop for children and adults alike because it is slightly bonkers and wonderfully idiosyncratic. Whether basking in sunlight, or shrouded in chilly hilltop mist, it’s a rainbow of majestic colour (like a glorified toy shop), and definitely a building where young imaginations can run wild and great adventures can unfold. The building started out as a chapel and monastery dedicated to Our Lady of Pena until King Consort Ferdinand II rebuilt it in his own inimitable style in the 19th Century, creating a flamboyant summer residence for the Portuguese royal family. Ferdinand happily mixed architectural styles, in what could be argued was an advanced and inclusive representation of Portugal’s multicultural history and heritage. The palace is a joyful and eclectic mix of Neo Moorish, Romantic, Gothic and Germanic style and symbolism. Inside, the Great Hall, Dining Room, Stag Room and huge kitchen tell their own story. Sintra also attracted the Romantic writer and bad boy, Lord Byron. After a visit in 1809, the town is mentioned in Childe Harolde’s Pilgrimage and, today, cafes and restaurants are still dedicated to the great poet who was originally schooled in Aberdeen. 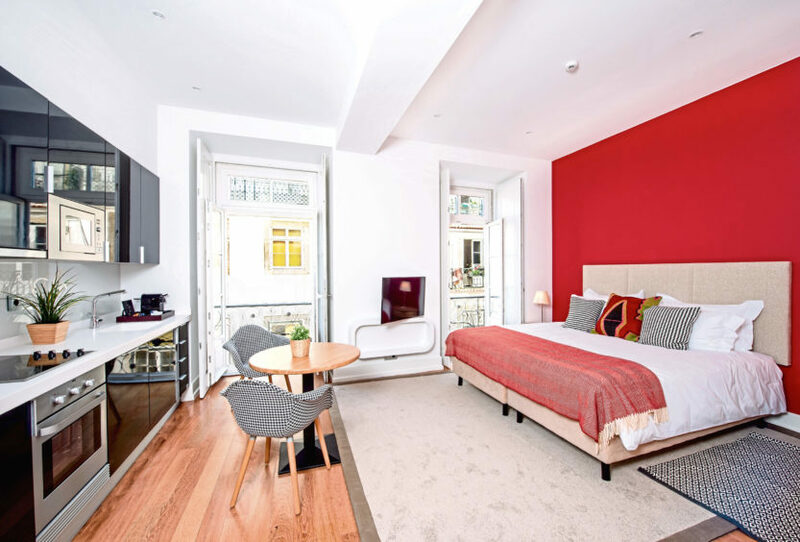 From the Portuguese Riviera, the next stop was the capital city of Lisbon, staying in the cool Bairro Alto district of the city where Martinhal Chiado provides slick city accommodation complete with family friendly restaurants, menus and children’s play areas. It’s as stylish as its sister properties, and set in a fantastic location. A two-minute downhill walk is Cais do Sodré train station where, for a few euros, we were whisked to Belém. 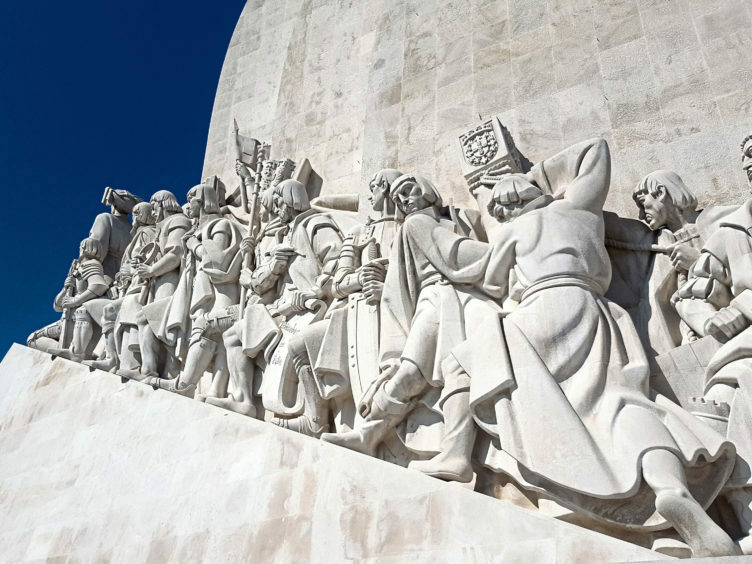 Here, we followed the River Tagus to Padrão dos Descobrimentos, the iconic statue dedicated to Portugal’s renowned explorers and adventurers. Literally across the road from the statue is the stunning monastery and Unesco World Heritage Site, Mosteiro dos Jerónimos. It’s flanked by museums and a planetarium, but with a four-year-old as a travel partner, it was easier to spend time in the formal gardens with the playful water fountain centrepiece to entertain us. Scheduling in another pastry stop in Lisbon is, handily, an authentic slice of Portuguese sightseeing. It’s no coincidence that pastry shops are often located close to religious sites. The Portuguese Catholic monks were renowned for their pastry prowess, but when the convents and monasteries were shut down in 1834, following the liberal revolution of 1820, the expelled clergy launched small pastry shops nearby in an effort to survive. 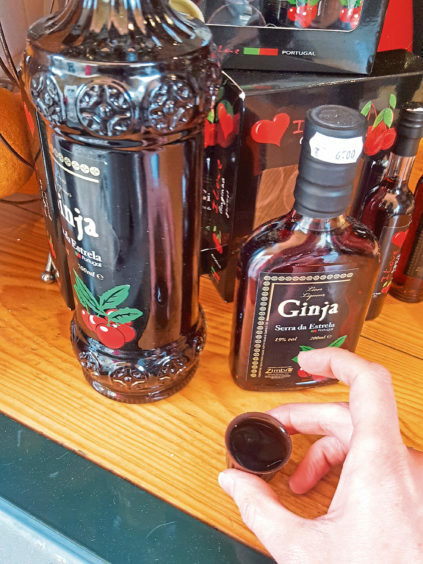 Their treasured secret recipes have been passed down to this day, so after a few custard tarts at the legendary Pastéis de Belém, our final stop was the remarkably chilled Jardim do Ultramar. 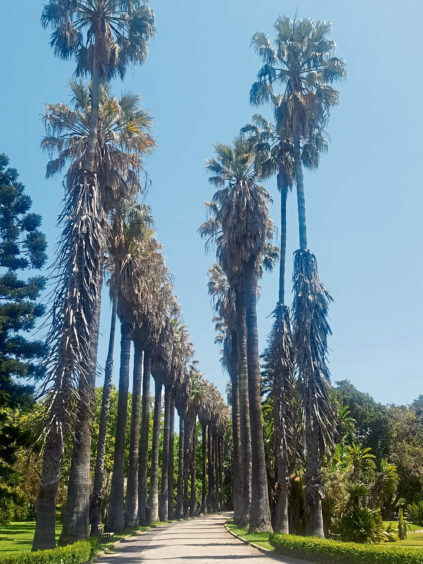 This green oasis is a beautiful haven for all ages from the city heat. 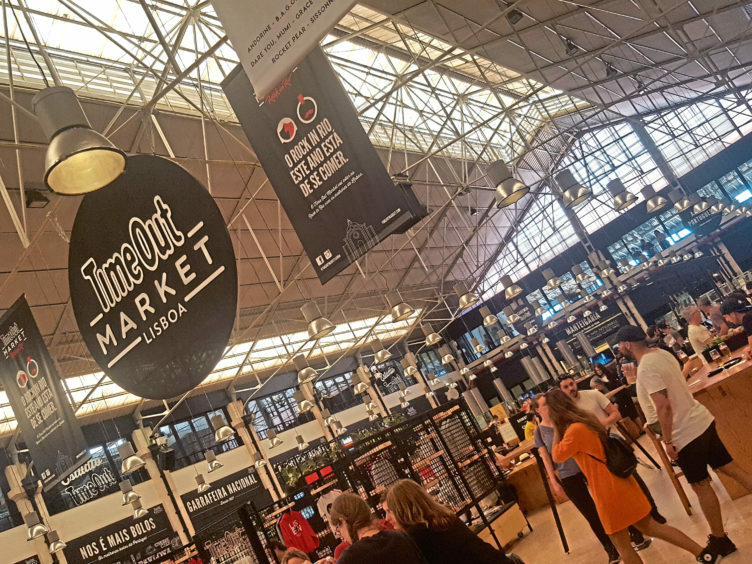 Back in the city centre, a winning dining recommendation is the Time Out Lisbon Market. 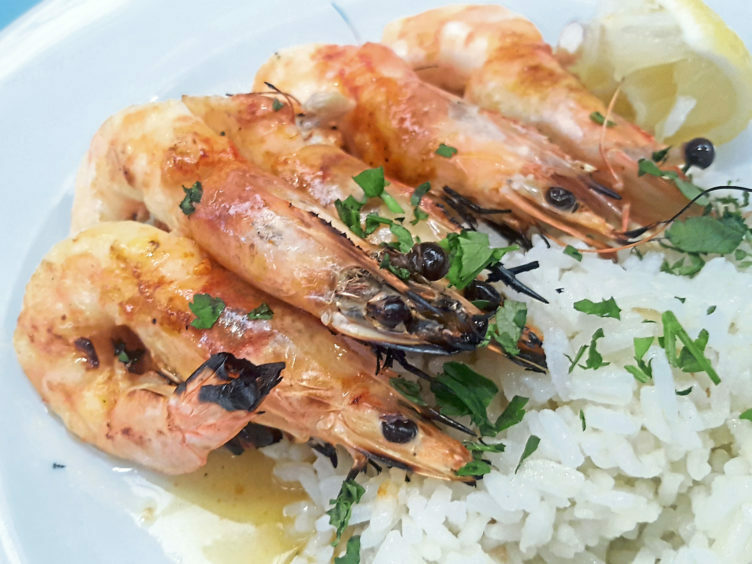 Each person chooses their own dish from independent vendors, ranging from burgers and steaks, to seafood and pasta. Food markets often work well for families as each person can choose their own style of meal under one roof. After my son and I had gorged ourselves on prawns from the Monte Mar stall, we returned to the stylish confines of our hotel to decompress. 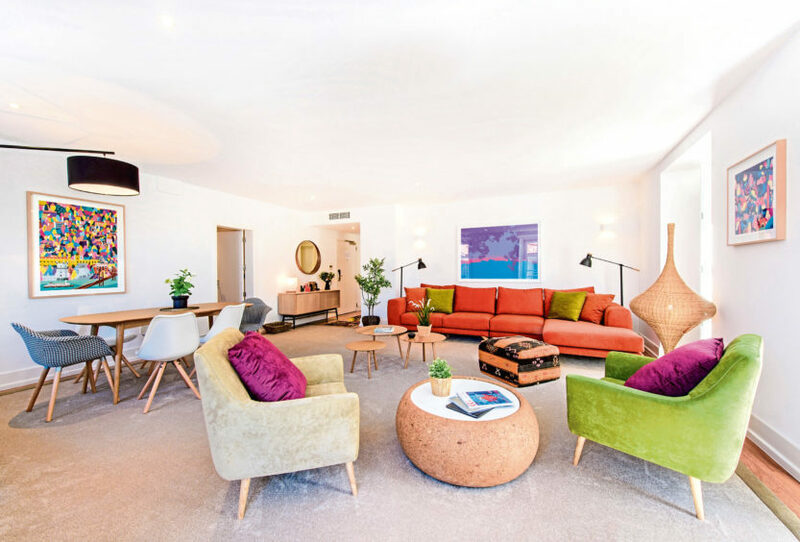 Considering I’d travelled from coast to city, staying at “family friendly” accommodation all the way and with a four-year-old in tow, I didn’t feel “mumsy” at all, proving that sometimes it’s possible to experience both style and substance on a family holiday.